Graduation Cap Banner Add On - 3 Sizes! Celebrate the grad! 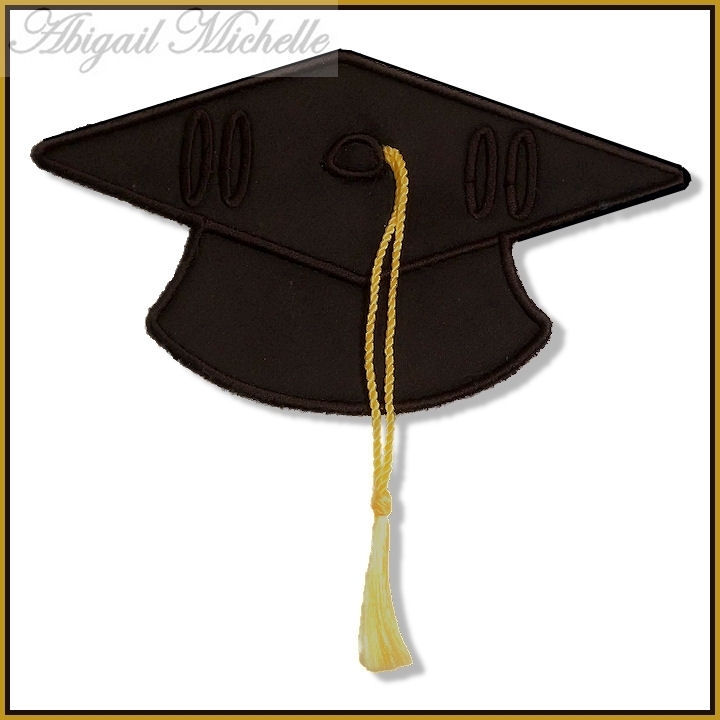 This graduation cap applique is made to coordinate with our Fun Banner Alphabet, sold separately below. Perfect for your graduation parties! Use a ribbon or real tassel. Small, bookmark tassels works perfectly. Includes 4x4, 5x7 and 6x10 sizes. Banner Fun Alphabet, In The Hoop - 3 Sizes! Baseball Banner Add On - 4 Sizes! Finish Size 3.92" x 2.22"
Finish Size 3.91" x 6.98"
Finish Size 9.96" x 5.55"